The latest release in Mazda’s MX series is the Mazda MX-5 RF. This is a next-generation roadster with the nimble handling and smooth feel that drivers expect from the MX series. The RF, or Retractable Fastback, on this series, adds a fantastic convertible hardtop to the already top-notch MX. It’s a bang-for-your-buck convertible, coming fully loaded at under $46,000. This MX release is quieter, more agile and safer than any previous model. It handles smoothly while being fuel efficient, using Mazda’s patented Skyactiv-G engine technology. Here’s a quick rundown of everything you can expect when you get behind the wheel of the Mazda MX-5 RF. The Retractable Fastback shell quietly retracts in just over 10 seconds. It can be retracted at up to 9 kph. It only adds a few millimeters to the height of the vehicle, keeping it in line with previous models. The Fastback is switch operated. Once engaged, the rear window and the side panels tuck smoothly behind the passengers. The components are even quieter than the praised MX-5 PRHT. The final result is a Targa configured body with a classic convertible feel. Driving with the hardtop on is quieter than ever before. The RF has a sound-absorbing lining that dampens the noise from the drivetrain. Mazda has added dampening in the transmission to further quiet the engine noise heard while driving. The electric actuators take decibel levels down another notch from the PRHT. The new hardtop on the MX-5 RF adds an extra layer of security to the vehicle. The flush hardtop is more secure in case of accident or theft. And the insulated lining makes all-weather driving a pleasure. This model continues Mazda’s tradition of promoting the concept of jinba-ittai in their vehicles. Jinba-ittai describes the connected feeling of rider and horse, where their movements synchronize and give momentum to one another. Mazda engineers take this concept seriously and try to make this philosophy manifest through the design of their cars. The placement of each switch is scrutinized relative to which muscles the driver will move to engage it. Front-to-rear weight balance teetering on 50-50. The agility of the Mazda MX-5 RF is a perfect example of this philosophy of connectedness. Choose between the 6-speed manual transmission or 6-speed automatic to suit your ideal driving feel. Feature packages come in Club or Grand Touring trim. If you choose the manual transmission at the club level, your RF will be upgraded to improve corner gripping with a rear limited-slip differential. The Mazda MX-5 RF builds on the same lineage of Skyactiv engines that they have been perfecting for years. The MX-5 has a 2.0-liter Skyactiv-G engine brings 155 horsepower to the table and nearly 150 pound-feet to the get the rear wheel drive moving. It also averages out at 29 miles per gallon, supporting Mazda’s commitment to improving the sustainability of their vehicle line. Mazda has been committed to staying at the forefront of automotive technology. Their commitment intersects with their overall plan for sustainability and driver engagement. With the release of their “Zoom-Zoom 2030” plan, they lay the foundation for lowering their vehicle emissions by 90% in the coming decades. They will also set the standard for safety in years to come. The front console display has been heavily updated. The old black and white console has been replaced with a full-color display. The Mazda MX-5 RF also comes packaged with voice activation, Bluetooth for hands-free calling and music control, USB ports and a 12V outlet. The Mazda MX-5 RF ranks at the top of the safety charts. The Grand Touring package comes with a blind-spot monitoring system. This can be useful to drivers new to the RF series until they become acquainted with blind spots built into the roof’s design. A lane departure alert program warns of cars creeping into your blind spots once the blinker is engaged. The alert sounds to warn the driver if she gets too close to an oncoming car. The car comes loaded with a rear cross alert system as well. Mazda’s safety package puts the mind of the driver at ease without interfering with the driving experience. As the connection to the driving experience is a key to the MX series’ success, Mazda prioritizes the driver by not overloading them with distracting technology. The Mazda MX-5 RF is a fun and fresh addition to Mazda’s lineup. It’s an all-season convertible with a mid-range price that’s easy on the wallet. With different financing options, there are plenty of ways to make it work for your family’s budget. It’s also a head-turner. The silhouette alone will make you want to take it for a spin. It handles in a playful way whether you’ve got the top down on a perfect summer day or you’ve got it up as you zoom on a long highway. The aim of the MX-5 RF was to become an industry-leading sports car for all seasons. It delivers on this front with room to spare. It comes in white, light and dark gray, black and Mazda’s very own “Soul Red”, a clear crowd favorite. There’s no better way to get a feel for this semi-coupe than to see how the rubber meets the road. 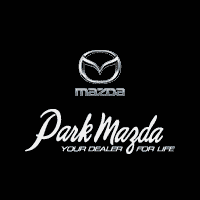 Contact us to schedule a test drive and see for yourself how much work Mazda has done to improve on it’s already popular MX line.